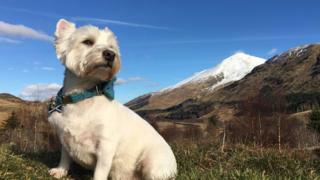 After photographs of her West Highland Terrier received more "likes" on social media than even the most stunning Glencoe landscapes she could capture, Sam Grant conceded that "the wee white dug" should star in her Scottish travel blog. 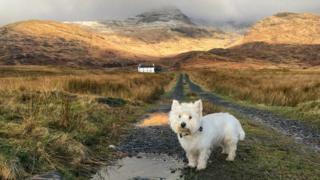 "Casper is my unique selling point," says Sam Grant, an Edinburgh-based VisitScotland ambassador who spends her spare time travelling the country with her pet. 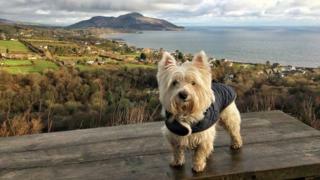 She adds: "There are lots of travel bloggers out there who are very good writers, but they don't have the wee white dug." 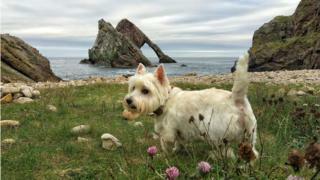 Her eccentric website details places of interest in areas including Orkney, Loch Lomond and the Scottish Borders. 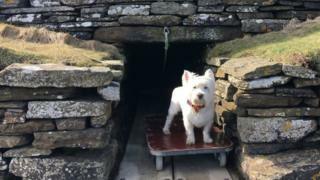 It was launched in 2015 after an Instagram account written from Casper's perspective proved popular with followers. 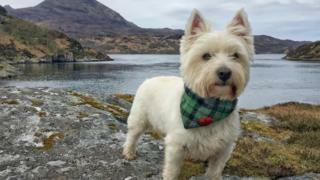 The social media profile has nearly 4,000 followers, who Sam says "can't get enough" of the wee white dug's quirky anecdotes about his travels. 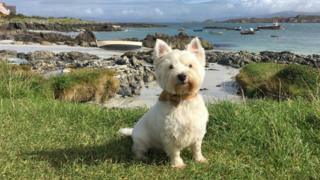 Image caption Iona, Inner Hebrides, is often described as a "tiny island paradise"
Sam says travelling with Casper has given her lots of insight into Scotland's best pet-friendly tourist attractions and holiday accommodation. 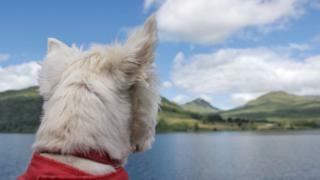 She says: "There are loads of good places that you can visit nowadays where you can bring along your four-legged friends." 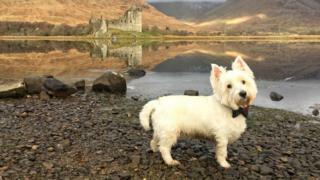 Sam hopes the blog could encourage more Scots to look around their own country, as well as attracting other visitors. 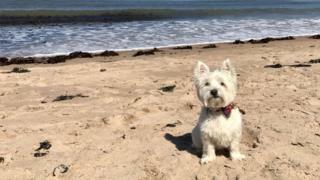 She says: "If you visit the beaches in the Outer Hebrides, you'll see there's really no need to go to the Caribbean - unless you're a sun worshipper. 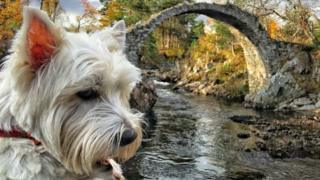 "Scotland's a country with a rich history and heritage. 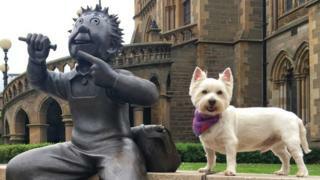 A country full of stories just waiting to be told." Sam says most traffic to her website comes from the UK and US but she has had visitors from more than 100 countries - including China. 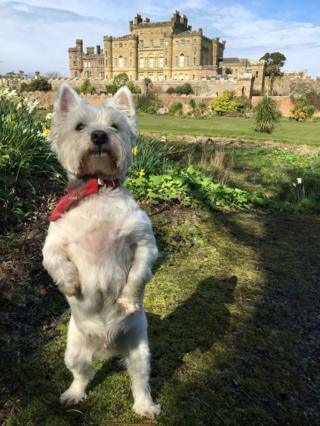 "When I see that I've had visitors from far-flung countries, I imagine them on the other side of the world reading about Scotland and the wee white dug," the writer adds. 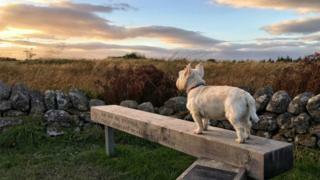 Asked if she thinks some people could say her pictures are a bit twee, Sam replied: "I did worry about that at first, so I try to make a joke of it. 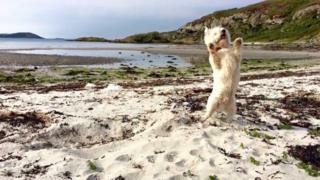 "But if people like my pictures and they bring a bit of happiness to someone's day, then why not?"